Dr. Marc Philippon, orthopedic hip surgeon with The Steadman Clinic in Vail, CO is proud to be affiliated with Vail Valley Medical Center, recently named one of the “Best Hospitals in Colorado” by U.S. News and World Report. 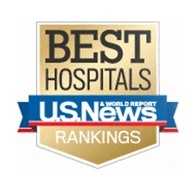 According to this publication, of the 100 hospitals in the state of Colorado, only 17 were honored with the distinction of ‘Best Hospitals in Colorado’. VVMC was also honored with the designation of ‘Best Hospitals in Northwest Colorado’ and was the only mountain hospital to make the overall list. Vail Valley Medical Center is the premiere medical facility in and around the Vail Valley area. Dr. Philippon is proud to perform the majority of his surgical procedures at VVMC. With an exceptionally high standard for patient care, VVMC makes a solid commitment to reduce accidents and medical mistakes which were both among the criteria listed during the selection process. VVMC continues to rate 10 percent higher than the national average. Earlier this year, Dr. Philippon was acknowledged as a “Top Doctor” on the U.S. News and World Report “Top Doctor’s” list which puts him in the top 1% of all physicians throughout the United States.